“The link between art and real history is the fact that works of art are structured like monads. History may be called the content of works of art. Analysing them is the same as becoming conscious of the immanent history stored up in them.” Adorno (1970, p.126). The bedrock of this essay has been to show how Ligeti’s Atmosphères moved itself away from classical traditions of composing orchestral music. The parallel drawn by doing so has been to argue for its use in Kubrick’s 2001: A Space Odyssey and while there is no definite answer as to what Kubrick was thinking when using Ligeti’s music, it is clear from the musical analysis that there are indeed a number of ties as well as ironies. Musical Techniques of Atmosphères and Disassociations with the Past. “Seen from this angle, with Atmosphères I was consciously reacting against the refinement of serialism. Musical texture in Atmosphères is also refined but in quite a different dimension.” -Ligeti (1983, p.38). This film introduced me to Ligeti. Forever grateful. 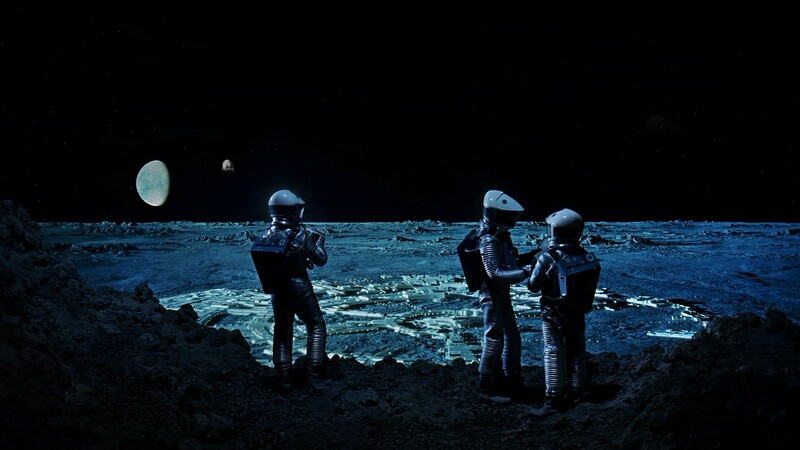 Ligeti’s Atmosphères as a Musical Foreshadowing of Stanley Kubrick’s 2001: A Space Odyssey. “First in Cologne in 1957 and later during my long stay in Vienna in the ’60s, I gradually evolved a musical style in which I abandoned structures conceived in terms of bars, melodies, lines and conventional forms. In this respect my first two orchestral works, Apparitions and Atmosphères, are the most radical. Atmosphères is just floating, fluctuating sound, although it is polyphonic.” Ligeti – (1983, p.14). charity. O, how my words fail.